We Make Your Healthcare Feel Great! Treatment doesn't only come in a prescription bottle, it can come from soothing, well trained hands as well. Just one of many focussed treatments that can help you feel better. The massage treatment provides relief in conjunction with corrective care from your dental professional. The bread & butter of the massage industry. Tender? Sore? Pain? We are designed to help with that. 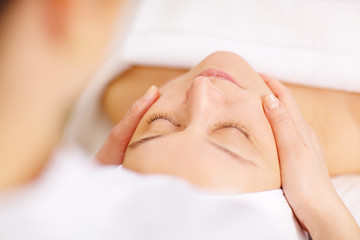 A medical diagnosis will allow your insurance to be billed for the massage treatments. If you come in with a prescription from your personal healthcare provider, that's great! ​We also have medical staff that can perform an exam for you. Our life is focused on getting pain out of yours. ​We can do that and so much more. Come for a Treatment, Comeback because you know it Works! We don't want you to come back to us for the same condition forever. We want you to come back again and again as your health dictates, because you know the treatments help.